The Barn and Garden are open spaces, free for you to create anything you desire on your special day. Exactly how you wish. If you are planning a wedding, you will appreciate the value of having a little flexibility. When you’re looking for the ideal space for your special day, there is always plenty to consider in that respect. Many couples these days enjoy hosting their weddings in classy rustic venues, and the Red Brick Barn is a perfect example of that kind of location. The original building dates back to the 17th Century, so there is plenty of history, and yet in recent years has been transformed into the ideal spot for any special event you might have lined up. Whatever you’re planning, it’s likely the perfect place to make it a reality. Inside, there is everything you will need to make your day truly complete - including a stage area with a full lighting and sound rig setup. This makes it easy to plan out your event however you want; we allow you the opportunity to easily customize the space however you should wish, so you can be sure of your special day looking and feeling exactly the way you want. The barn is equipped with a main auditorium and seating area, which you can arrange as you please, and a kitchen for your catering needs. 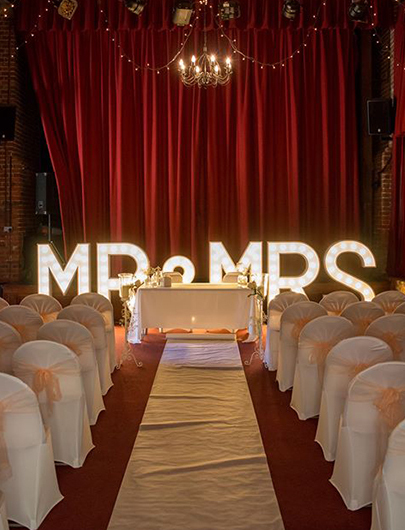 Above all, the Red Brick Barn & Sutton Hall offers you a fantastic degree of flexibility for your special occasion. And it’s not just weddings that are ideal here; it’s also a perfect space for anniversaries, birthday parties or even work Christmas parties.